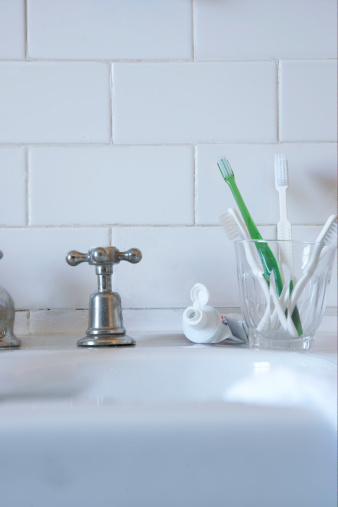 Soap scum is one of the biggest causes of clogged drains. Soap scum builds up over time in PVC piping as it carries away the drain water from sinks and shower stalls. It is a smart idea to regularly flush your drain with an unclogging solution to prevent a blockage. If the pipes become too clogged, you may need a professional to help. Clogs within PVC piping should be treated differently, as the pipes cannot always handle the harsher chemicals in store bought clog-removing solutions. Clear your pipes naturally with household items. Heat a large pot of water. Pour the warm water down the drain to help melt and wash away soap scum in the PVC piping. 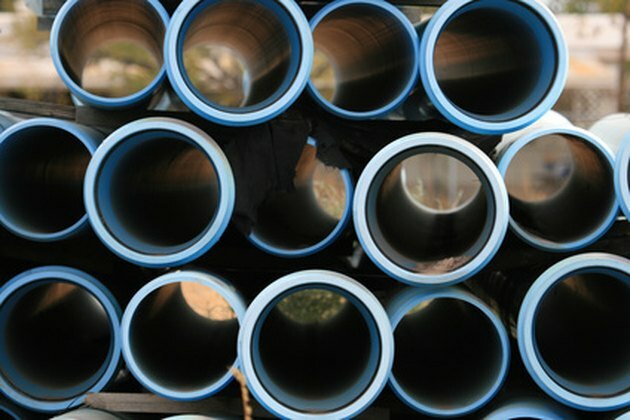 Unlike steel or other metal pipes, water that is too hot can cause damage to PVC piping. Pour 1/2 cup of baking soda down the drain. Follow this with 1/2 cup of white distilled vinegar. Cover the drain to prevent the mixture from fizzing out the top. You want the solution to fall down the drain. Allow the solution to sit for 15 to 30 minutes. Pour another large pot of warm water down the drain. This should eliminate any soap scum and scum-related clogs. It may take more than one application to completely rid the pipes of the residue.